As a Channel Partner of Gamma, a leading supplier of voice, data and mobile products and services in the UK, we can offer you Horizon; a hosted VoIP solution that is suitable for any size business looking to improve its productivity and efficiency. 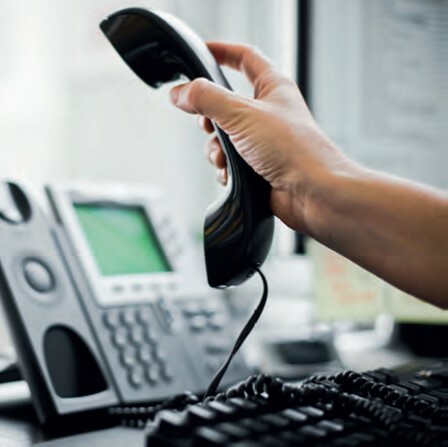 VoIP puts you in complete control of your phone system and has an extensive range of call handling and management features, all operated through an easy-to-use web interface. As Horizon is hosted on your behalf, you only pay for what you need on a simple per-seat basis. As you’re not buying a PBX, there’s little hardware investment and no financing costs to consider. Horizon offers all the cost benefits of VoIP telephony including free site-to-site calls and cheaper call rates. If you use Horizon together with our mobile services you benefit from free calls between your fixed and mobile devices. You have total flexibility with the numbers you want to use. You can keep your existing numbers or get new numbers. Extend your business reach and use any local area number no matter where you’re based. Have a London number in Huddersfield! Unexpected events such as snow, floods, strikes or utility roadworks won’t disrupt your business. Because Horizon’s VoIP service sits in the cloud, it provides business continuity features that allow your organisation to carry on making and taking calls, whatever the circumstances. Who is Horizon’s VOIP service for? Horizon is ideal for any size of business and is highly-effective in organisations that have multiple sites. The system is capable of serving one to hundreds of employees. Horizon comes with a comprehensive range of features as standard, as well as a range of additional bolt-on options. To discuss the options for Gamma Horizon in your business call our Hosted VoIP experts on 01484 506 966.